Over the years, reinforced masonry has evolved as a new engineering material of construction that is used all over the United States and many foreign countries. Although the use of unreinforced masonry materials dates back to some 4000 BC, reinforced masonry has evolved into a standard building material in the United States for structures up to 3 stories and in Mexico up to seven stories. 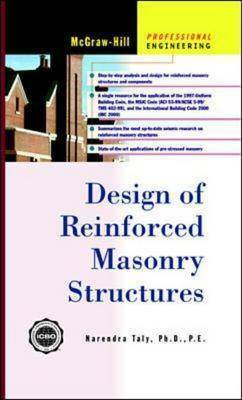 The author includes appropriate theory for design and construction methods and prevailing codes and specifications required by the industry.